A wide variety of handrails of styles, colors, and materials for all types of facilities, applications, and budgets. Choices of all vinyl, all wood, or a combination of the two, grooved surfaces, color accent stripes, 60 standard colors, custom color matching, and faux wood finishes allowing for maximum design possibilities. Several types feature a continuous security bracket for high-risk environments. Our Endura Rail features the only aluminum reinforced return in the industry. Also available with a 2’1/4” co-extruded horizontal accent stripe (BR-532), co-extruded horizontal accent lines (BR-530X), or horizontal grooves (BR-530G), this series combines a nearly indestructible handrail with design flexibility. A universal handrail for all applications, the BR-500 combines affordability with design flexibility. Choose a smooth surface or the addition of horizontal grooves for added detail (BR-500G). 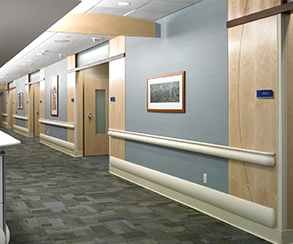 Corridors can also be color coded with the addition of a seamlessly co-extruded accent stripe (BR-502). This three-pieces vinyl assembly allows for thousands of color combinations of the handrail, guardrail and enhancing thumb rail stripe in an attractive, durable design. The BR-400VG adds horizontal grooved accent lines on the lower guardrail for added texture and design contrast. Combine with WG-4 wall guard for a consistent presentation. For a good power grip, choose the BR-1200 with a 1-1/2” diameter rail. Function, durability and affordability highlight this traditional handrail design. Wall guards run the gamut of sizes, shapes, colors and styles. In addition to our unique ability to protect all areas of any facility, the design flexibility of these products is limitless. We offer outstanding protection from all types of abuse, thus dramatically reducing maintenance and repair expenses. Choose from rectangular or curved profiles, many with design options such as grooved surfaces, color accent stripes, 60 standard colors, custom color matching, and faux wood finishes. And our installation option will stretch your budget by using a lightweight yet equally durable product that would be installed more quickly and easily than traditional aluminum retainers. This versatile wall guard can be used as a wainscot cap, chair rail, or crash rail. Multiple rows can provide maximum impact protection and decorative appeal. Also available with horizontal grooves (WGG-3). This uniquely designed wall guard can function equally well as a crash rail or a chair rail. It matches perfectly the style and form of our BR-400 series handrails, providing continuity of design when used together. Also available with horizontal grooves (WGG-4 shown). 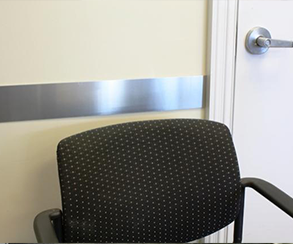 Our most popular wall guard product, WG-8 offers heavy-duty impact protection for a larger surface area. Also available with horizontal grooves (WGG-8). Pawling’s largest wall guard utilizes two internal rubber bumpers to fully absorb impact. Two sets of horizontal grooves bring added interest to this distinctive design. WG-12 is ideal for headwall protection in patient rooms or in service corridors requiring maximum protection. 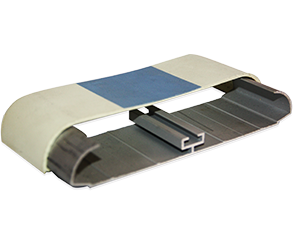 Rigid sheet is used to fabricate protective wall strips or rub rail/chair rail. 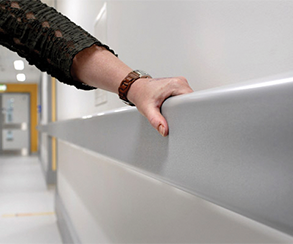 These Protective wall strips are used throughout healthcare facilities schools and universities, elder care and child care facilities, in offices to protect walls, to protect doors, to protect cabinetery or protect walls and backsplashes in back of house areas in the hospitality industry. 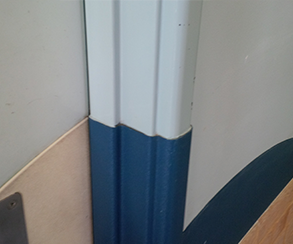 Protect corners from damage and keep your facility looking newer longer with corner guards. Whether you need a quick fix or a more integrated heavy duty solution, we have the corner guards that will keep your walls looking brand new. For areas with less traffic, our 2” wing corner guard provides the protection needed in a size designed to blend easily into your décor. Also available with a recycled vinyl retainer (CG-20R). It’s easy to forget how vulnerable doors and entryways are to potential damage from equipment and pedestrian traffic. Our door and frame protection helps reduce costly maintenance and repairs that come as a result of normal, day-to-day abuse. 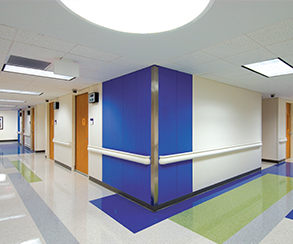 Available in a virtually unlimited variety of sizes, some of these accessories can be customized to unusual or artistic shapes that further enhance your facility’s décor.